For a quote on EDM wire, stratified, zinc coated wire, or any other services please email us at sales@edmsupplies.com or call us at (440) 918-3770. 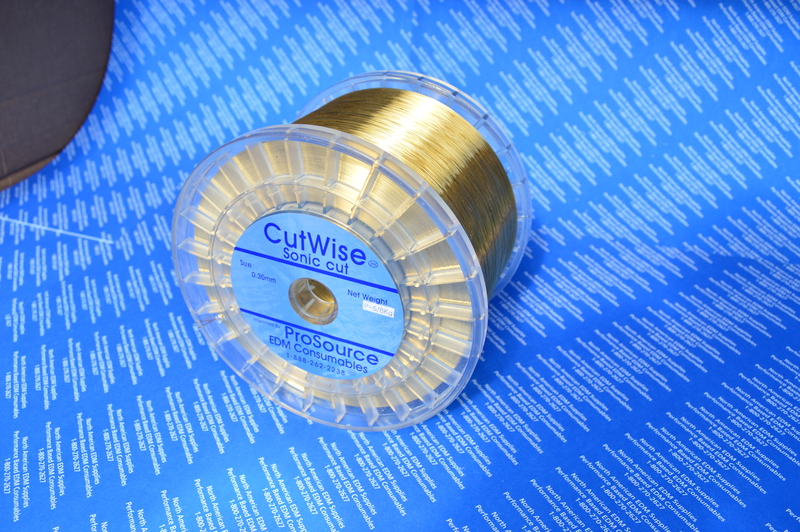 CutWise Premium Brass Wire is a high performance based wire that performs much better than the typical high speed wire that is Cu/Zn=65%/35%. 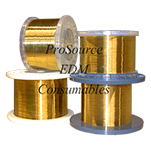 CutWise EDM hard brass, medium brass, and soft brass wire outperforms many of the other brands in every aspect. Not only will it cut faster than the typical wire, it will burn cleaner which also saves you money when it comes to your other EDM consumables such as EDM filters and EDM guides. The wire is not a paraffin coated wire and therefore does not have the residual burn off of the paraffin during the cutting process. This wire is a ISO9002 standard wire and thus is held to strict restrictions on the performance of the wire. High quality ISO9002 certified wire. Non-Paraffin coated. This is an excellent all around wire. From precision cuts to being cost effective for roughing operations. Tensile Strength for Hard is 900 n/mm² with an elongation of 3% and a conductivity rating at 20%IACS. Tensile Strength for Soft is 490 n/mm² with an elongation of 15% and a conductivity rating at 23%IACS. 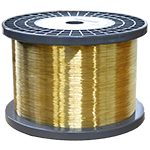 We carry this performance brass wire in Cobra Cut, Bronco Cut, & Mega sizes in bare brass, hard brass, and soft brass wire. We carry both Japanese and European spool sizes for ease of customer use. 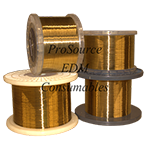 This high quality brass EDM wire is a very clean burning and efficient wire that is guaranteed to please all customers currently using hard brass wire from any other brand. Please call us for More Information. 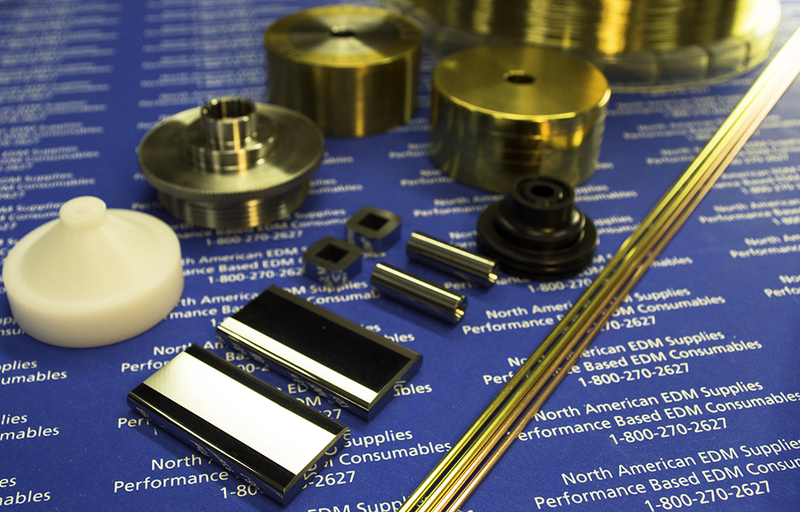 North American EDM carries ABZ Wire, HBZ Wire, and Super Soft Wire. For more information please call us at (440) 918-3770. 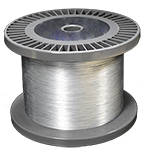 This high quality European stratified wire is made to exacting standards. Thoroughly tested, this wire is designed to perform and shine on your Charmilles machine running stratified EDM wire. This wire has a special coating to enhance cutting speeds and surface quality. This wire is designed to operate at higher speeds than traditional wire. The surface quality will be much higher than traditional hard brass wire. This wire burns extremely clean and has a very smooth wire surface. The benefits include a speed increase of 10% to 20% without the problems associated with coated or “hybrid” type wire. Higher cutting stability as compared to general brass wire resulting in fewer wire breaks, less surface recast, and a reduction in the time for secondary operations. Of course, high diametrical tolerance is held on this ISO certified wire. As you can see from the enclosed brochure, the cost is comparable to a high quality brass with an instant increase in your available machine utilization and profit margin. A small investment is price with a dramatic increase in parts out the door. This premium wire is truly the performance wire that is expected of the name. It is not just brass wire, it is much better than that and no other wire supplier has offered you this wire before. North American EDM has sole distribution rights to this wire and it is only available through us. If you are looking for a way to increase productivity while saving money, than this is the wire for you.